This year, thousands of Southeast Asians will honor their ancestors with gifts of paper iPhones and iPads. What’s even more uncanny is that stocks of these $2 versions, much like their real life counterparts, are selling out of stores, leaving some unlucky customers to peruse over the less desirable paper Blackberrys and Androids. 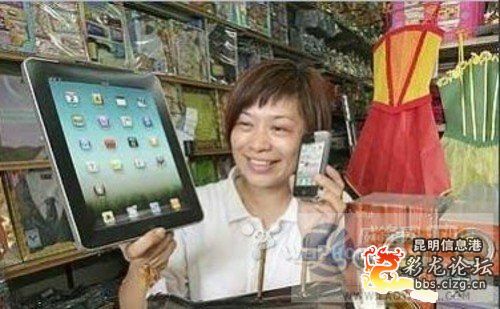 Will the ancient Chinese ancestors appreciate the new iPad’s enhanced retina display, let alone be able to use it? Who knows. Maybe we should get cracking on that ancient Chinese translation of eNotes–you know, for when the spirits aren’t too busy playing Fruit Ninja or Scramble with Friends in the afterlife. On a more literary note, the Qingming Festival is frequently mentioned in Southeast Asian literature. Below is a beautiful excerpt from the Vietnamese epic poem “The Tale of Kieu,” written at the beginning of the 19th century. It describes the setting of a pivotal moment in the tale, when the protagonist encounters the ghost of an old lady on the day of the festival. Of ninety radiant ones three score had fled. Some blossoms marked pear branches with white dots. With graveyard rites and junkets on the green. Sincerely, Will: Has a Seventh Shakespeare Signature Been Found?